Orlando, Fla. – Ace Cafe Orlando, the first North American location of the celebrated London-based motor-diner and the sixth Ace Cafe in the world, rolls its doors open today, May 19. 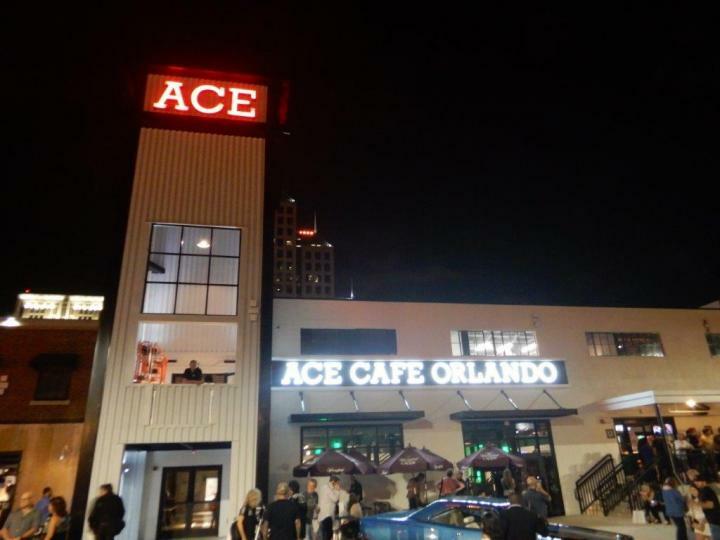 The 35,000-square-foot dining, entertainment, and retail destination reinvigorates a key parcel in downtown Orlando now known as “Ace Corner,” where it expects to draw more than 400,000 people annually. Since 1938, Ace Cafe London has been a mecca for those passionate about cars, bikes and rock ’n roll culture. The original location on London’s North Circular Road began as a roadside cafe for truckers, then evolved into a popular destination for rock ‘n roll-loving teens riding motorbikes during the ’50s and ’60s. Today, the Ace has a multi-generational appeal among motorsports enthusiasts from all over the world. Much larger than its London namesake, Ace Cafe Orlando spans two floors and features a full-service restaurant, two kitchens, four bars, a coffee bar, a communal counter, a mezzanine that overlooks the main floor dining area and stage, and private and semi-private spaces for groups both large and small. Rounding out the offerings inside the Ace are: Rockers Speed Shop (selling official branded Ace apparel); a BMW motorcycle dealer; Dainese D-Store; EagleRider motorcycle rental company, and Stonebridge Motor Gallery, selling an ever-changing line-up of original motorsports and rock ’n roll-inspired artwork, photography, sculptures, and memorabilia, as well as collectable vintage and rare, one-off custom motorcycles.